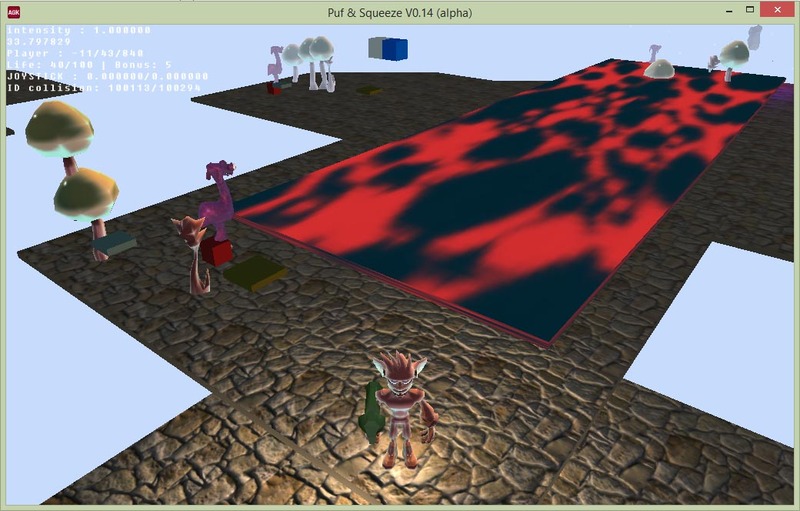 In 2008, I have created a concpet for a 3D platformer-action game named "puf & squeeze". In the tradition of Jake & Daxter and Ratchet & Clank, I wanted the game to feature two characters (Puf & Squeeze) whose mission is to save cute characters, imprisoned by bad monsters, in a colorful universe, cartoon, SF / fantasy and fun. 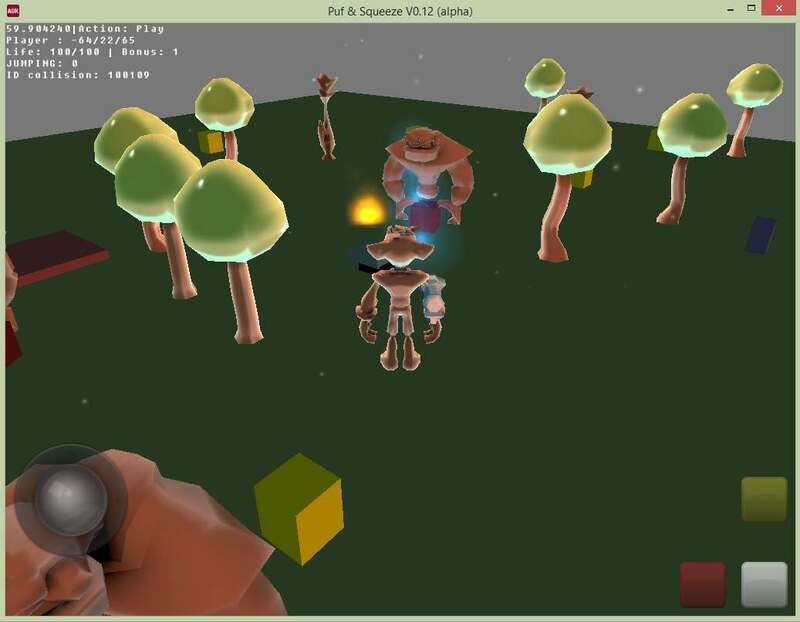 In 2015, I have started new 3D tests with AppGameKit, but AppGameKit hasn't the features (no animations) to made the game I want : a 3D platformer-Action-Shooter, in a cartoon Style. I would like to make a "pause", to play with 3D, and my funny project "Puf & Squeeze". So, to test my level editor (age3D), I have made "test levels", and I test them in my game (puf & squeeze). it's very quick to create levels, so I could probably create a little game with Puf & Squeeze . Not as big as I would like at beginning, but fun to play with ^^. - PC : windows (Steam if I can ^^), I hope to have a mac and linux version. I dont know, but I would like to have a first version (very basic and small) in may 2019 or june or september . 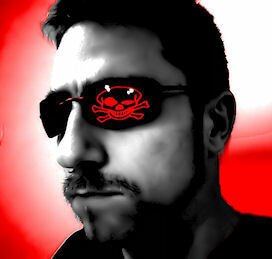 A lot of 3D models to create and animation to do. I use my Age3d to create the levels. I can improve age3D if needed . I have a lot of artowkr for assets, I will post later. - what platform do you prefer ? - will you use a real joystick (xbox or other) ? Any comments are welcome . Looks promising!!! I like de 2009 image... Smooth 3D. Are you targeting mobile or pc? I do like the GUI in the editor, is that your own? Awesome stuff as always blendo! Thank you a lot for your kind comments ! Quote: "I like de 2009 image... Smooth 3D. " It was a test in the blenderGameEngine. Perhap's I will use some Assets from this scene, but I would like to have a more colored ambiance and not very detailled texture, more "flat", with Ambient Occlusion, and some "day" lighting. like in my previous screen . Quote: "Are you targeting mobile or pc?" First, I'm targeting Mobile (android), then I will sale it for PC (windows, then linux & Mac) on website like itch.io, and Steam if i could ^^. Quote: "I do like the GUI in the editor, is that your own?" Yes, AGE3d is the level editor I'm working on, for this game (and my other3D games). It's all made in AppGameKit, the GUi are sprites (Gui is a lot of works ^^). This is some good stuff you've got going. Good job! Looking forward to seeing more. Finaly, i think I will create first a simple 3d shooter, in the same world and style. - kind of capture the flags. I have made 2 maps for the fight. The fight system isnt finish but it works. A map = 2mo + 1 mo for the textures, approx 20000 faces for the map,( without character and fx), only 2 objects for fast drawing ^^. It use character controller and physics static rigid body, which work perfectly. I agree, excelent graphics style. Any video soon? Definitely excellent graphics. Great job on that. I also would like to see a video of the actual gameplay. Looks great. 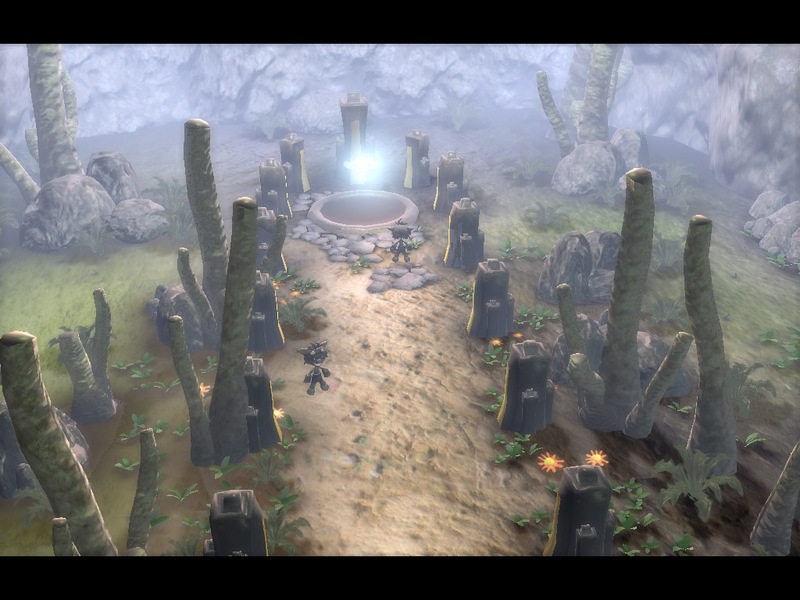 Reminds me a little bit of "Jak and Daxter" or "Ratchet & Clank". I like the idea of a duo. 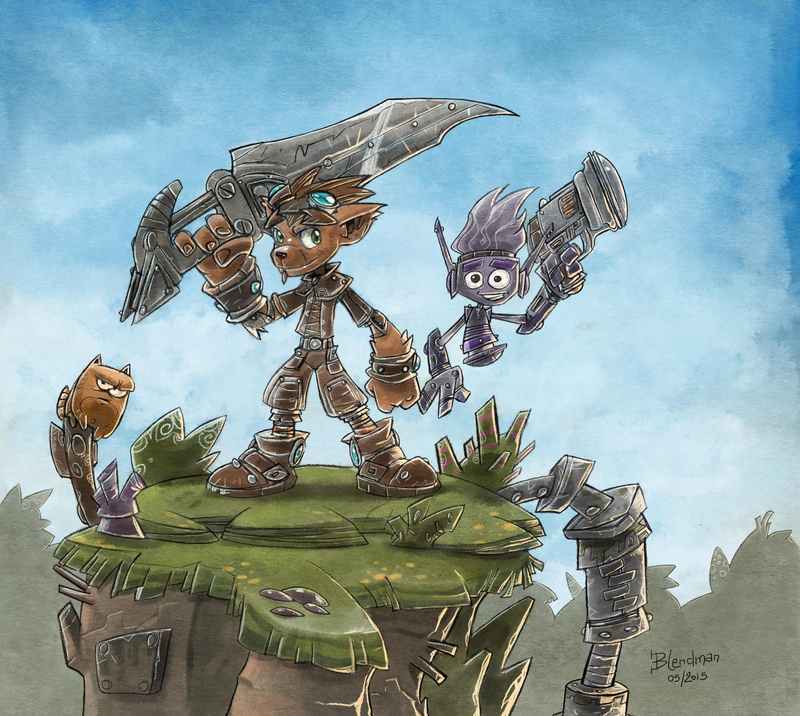 Jak and Clank Like the style. Would be nice, to be able to play the demo. 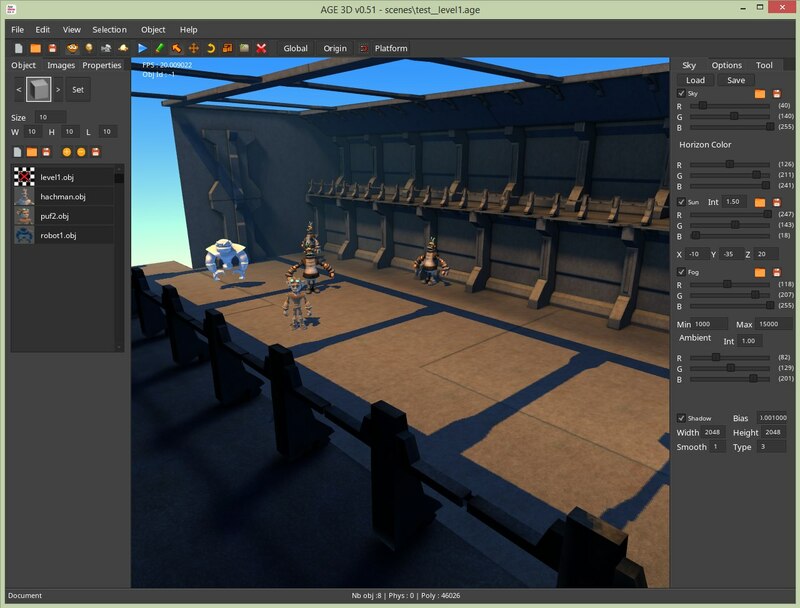 Or have a deeper look into your 3D editor. it's super beautiful, when a small video ?